mwe3: Can you tell us where you are from originally and where you live now and what you like about it? Tell us about other parts of England that you like to visit and/or do shows in and have you been to the US yet? I would think your new album would be of interest to American ears. Henry Senior Jr: I was born in Scotland, in Edinburgh, I now live in Brixton in South London, which has a rich musical heritage, ranging from reggae artists like Linton Kwesi Johnson, to bands such as The Clash, and it was the birthplace of David Bowie. Its a great place to live and has a lot going on musically. When I got my first pedal steel it turned out there was a player just up the road who fixed it up and got me started, which was lucky for me as Im not mechanically minded! Ive visited the States a few times as a tourist, and the band I play with came over one time to do a couple of gigs as part of the AMA Awards, Id love to go back. We tour round the UK a lot, I couldnt single a place out, its just a great way to see the country and meet people. 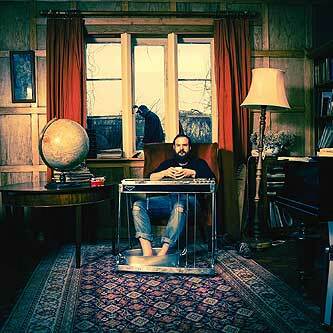 mwe3: Is Plates Of Meat your first solo album and how did it come together so to speak? How long did it take to write and record the album and how did you choose the title for the album and what can you tell us about the cover art? Henry Senior Jr: Yep, its my first and only solo album! It didnt start out as an album I, just wanted to record some ideas. But then I got the bug a bit, and Dan from Maiden Voyage kept referring to it as my album and said he was going to release it! He has a very poker face at times and I had no idea if he was serious, but release it he did, and Im very grateful. It took about a year to complete, the writing happened alongside the recording. Id generally do a short demo of the head at home, take it to the studio where wed work on a structure and arrangement. there are a lot of family references to the album! mwe3: When did you start playing the pedal steel guitar and do you play other instruments too? 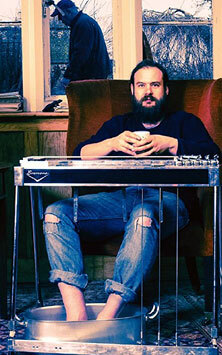 Do you think the pedal steel guitar and sound is growing in stature in the UK? 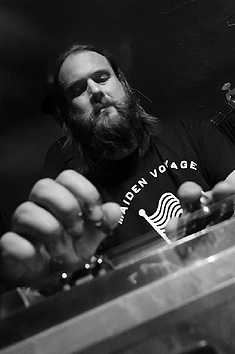 Henry Senior Jr: I started playing pedal steel about 10 years ago. I used to play the guitar but had stopped for a while and was looking for something new. 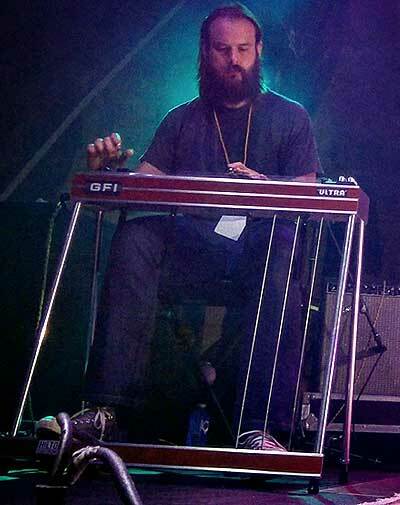 Id read about how pedal steels worked and was really interested by the sliding and changing chord at the same time, but had listened to very few pedal steel players. Yes, without doubt the steel and its sound are growing in stature in the UK. There are loads more players now than there were 10 years ago. The rise of Americana has helped this. BJ Cole has contributed to its ascent with decades of innovation and playing on releases by artists of all walks, ranging from Elton John to Beck. Also Spencer Cullum, from Essex but based in the States now, from Steelism, who are putting out some superb pedal steel instrumentals at the moment. I think were going to see some good things come out of Brit Steel! mwe3: Can you tell us something about your Emmons and Williams pedal steel guitars? Are they the best ones youve played and what other guitars, pedal steel, steel and lap steel guitars do you like? What pedal steel and steel guitarists are among your favorites and what amps are you favorites for recording and live shows? 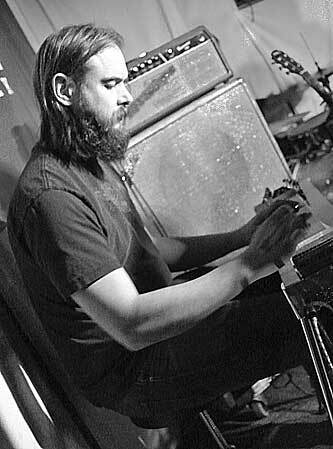 Henry Senior Jr: Its a lot harder getting hold of pedal steels over here than it is in the States, so no I havent played that many. I bought my Williams from BJ Cole. It has a huge sound, a very versatile copedent and stays in tune well. Id get a Williams if I was going to buy a new one, but its quite expensive importing from the States. The Emmons is a 60s push-pull and is a classic! It sounds great but is mechanically a bit harder to work with, and it has an aluminum, or aluminium as we say, neck which is much more temperature sensitive than wood, so goes out of tune more. I also have a twin 8 Fender Stringmaster, which sounds beautiful, and a Rickenbacker Model 59 lap steel from about 1938 with a huge horseshoe pickup. It sounds brilliant for gritty slide guitar. I use different guitars in different situations, but some of the tracks on the album require the Universal Copedent that the Williams has so Ill use that for those gigs. mwe3: Who else plays with you on Plates Of Meat and whats the chemistry like among the players on your recording? Do you work with those musicians in other groups and bands too? Henry Senior Jr: I play in a band called Danny and the Champions of the World. The Danny in question is the same Danny Wilson from Maiden Voyage, and all of the rest of the band played on the album. Chris Clarke who played bass on the record, recorded and produced it at his studio, Reservoir Studios. We gig and tour a lot and have also recorded as backing band for a few artists, so we all know and understand each other pretty well and the communication and chemistry is quite well developed. Weve got an album, a double actually, called Brilliant Light coming out later this year, with an instrumental counterpart called Photogene. mwe3: Tell us about releasing Plates Of Meat on the Maiden Voyage label and how does the album reflect the labels philosophy? What other projects, including live performances, music writing, recording and producing do you have planned for 2017? Henry Senior Jr: Recording the album was a pleasure and a learning experience throughout. It did take longer than I thought. I am very pleased in hindsight to have kept it to a modest 8 tunes and also to have had the guidance from Dan and Chris to keep the project on the rails. I think Maiden Voyages philosophy is pretty simple. Its proprietors, Danny Wilson and Del Day, both have expansive musical tastes. They want to release music they like, and not be constrained by genre, commercial pressure, bureaucracy etc. and to have fun doing it. Opportunities for musicians to indulge themselves are few these days, people are realizing music is worse off for it, and Maiden Voyage are responding to that. Their forthcoming release, another Reservoir recording, is Mad Dogs and Moon Dogs by Donald Wheatley. Don is professional showman, the album is Dylanesque and draws on a lifetime of experiences with the fair. His single Smoking Gun has just been released and seen a lot of UK and BBC airplay.